Cashew Nuts, Walnuts, Cardamom, Black Pepper. Orbitta Exports is a leading Manufacturer and Exporter of Cashew Nuts, Cashew Kernels, CNSL Oil, Cashew Nut Shell Liquid, Sesame Seeds, Cardonal Oil and Peanuts. We believe in supplying the best quality of products to our clients. Deal in Dry fruits in wholesale. Agro Mega Trading Co., Ltd.established in 2002 is one of leading exporter and importer of fresh fruits and vegetables in malaysia. We export fancy fresh fruits and vegetables from malaysia or other countries to our customers around the world, such as America, Canada and Asia etc. 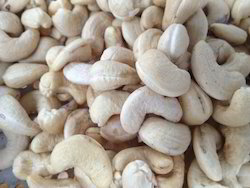 wholesaler and Trader of kaju, kishmish and dry fruits,cashew nuts.